Find on this page : Key Features, Requirements and Components, Quick Start. 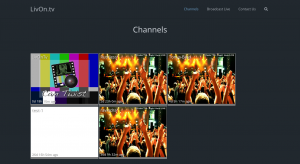 Optional: As WP Live Streaming plugin supports premium broadcasters, this can be used in combination with a membership plugin. VideoWhisper also provides the Paid Membership and Content plugin that allows upgrading roles based on credits and also purchasing content (like videos). Another option with direct payment for membership is the s2Member plugin to enable paid membership (in example to charge premium broadcasters a fee). Design: A nice WordPress Theme . 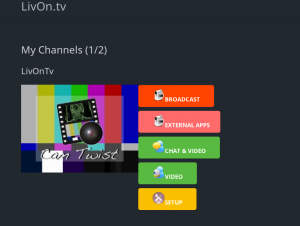 In example, the exact theme used on LivOn.tv is also available. Each order includes one free installation, if compatible hosting is available. Then you can start customising and/or add other plugins and features. Installs from WordPress repository. You can also download it from VideoWhisper and update to latest version.